I am a visual artist who lives and works in Leeds. 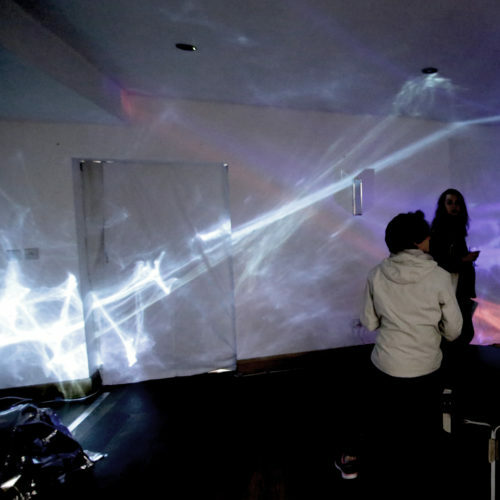 Over the past several years I have produced multisensory artworks out of light and sound that. Last year I completed a Masters in Sculpture at the Royal College of Art, before returning to Leeds to develop the project – ‘Ultiverse – alternate dimension of light and sound’. My work for ASMbly will be part of on going research to develop the centrepiece of the existing artwork ‘Ultiverse’. The central sculpture is currently made of emergency blanket/foil and we would like to explore different materials that would enable the sculpture to be programmed to move.